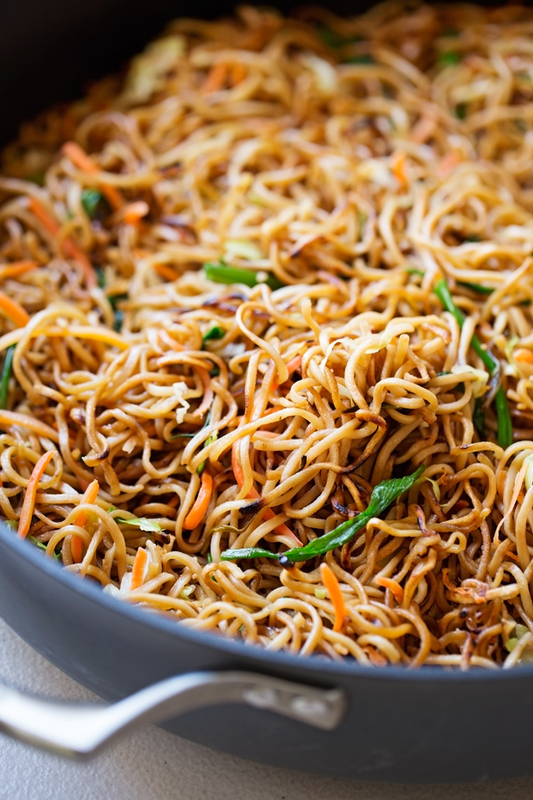 An easy Cantonese-style pan-fried noodle dish that comes together so quickly! These taste just like your favorite restaurant’s version and now it’s easy to make them at home! Excuse me while I slurp up a few more noodles. 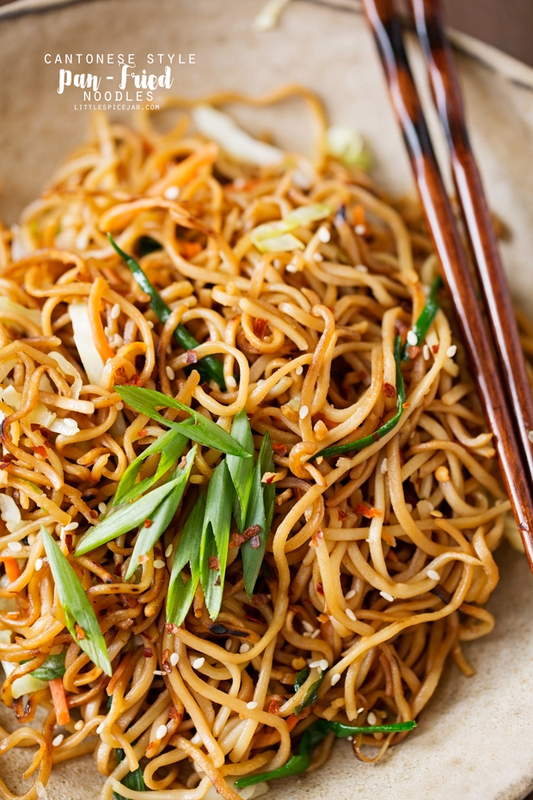 These pan-fried noodles are quickly becoming my life. 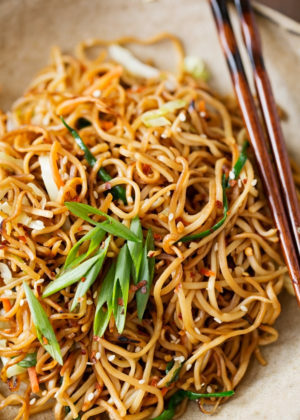 In my head, i’m calling them a cross between garlic noodles, pan-fried noodles, and chow mein (because, hello, I needed the veggies!). And when so much goodness gets together on a plate these noodles become so hard to resist. 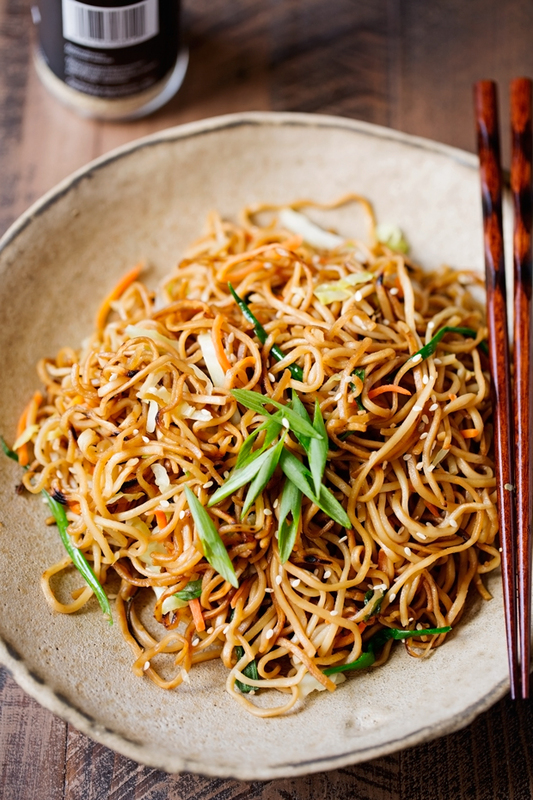 But before we jump head first into a bowl of these Cantonese noodles, how was your weekend? Did you freeze? I sure did! The hubby and I made a trip to Austin this weekend and even though it’s a short 2.5 hour trip there, the temperatures were so much colder there than in Houston. Mainly because we get a nice warm, humid breeze from the Gulf that comes our way. We did a little hike up to Mt. Bonnell and a windbreaker jacket would’ve come in handy. And right after that, a nice cappuccino to thaw us out. When you know all I really wanted were a bowl of these noodles to slurp on. Oh how these are perfect for freezing cold days like today. Last week, I had the sudden urge for noodles (um.. when do I not?) and wanted something restaurant-style, crunchy, smoky, with fresco style veggies. 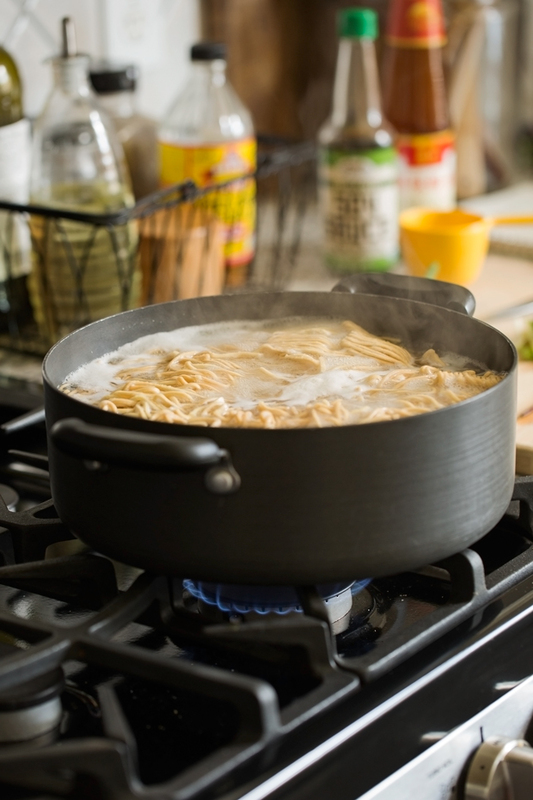 You know, the kind of noodles that are cooked on a burning hot wok so the noodles get nice and crispy around the edges but the centers are still soft and noodle-like. And I have to say, that this is really more of a guide than a recipe because it’s so easily customizable! I wanted the crunch of chow mein in these noodles so I tossed in a handful of bean sprouts, shredded carrots, and lots of coleslaw style shredded cabbage. The carrots and coleslaw sliced cabbage are a staple in our house, we use them on just about everything — a little more crunch to salads, on breakfast sandwiches, these pan-fried noodles, and even in chicken sandwiches and such. It’s a great way to sneak in some extra veggies. The sauce for this bowl of heaven is super simple too. A little oyster sauce, soy sauce, sugar, sesame oil, minced garlic, and red pepper flakes. That’s it. You can make this recipe vegetarian friendly by swapping out the oyster sauce for dark soy sauce or using an imitation oyster sauce (though that can be more difficult to find). Also, this recipe calls for egg noodles, which I was lucky enough to find at my regular grocery store in the Asian food aisle. Most grocery stores do carry them. Whatever you do, make these. Because these noodles are a life-changer. Totally what every Monday needs.